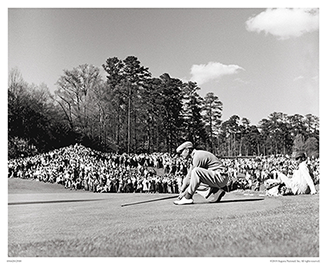 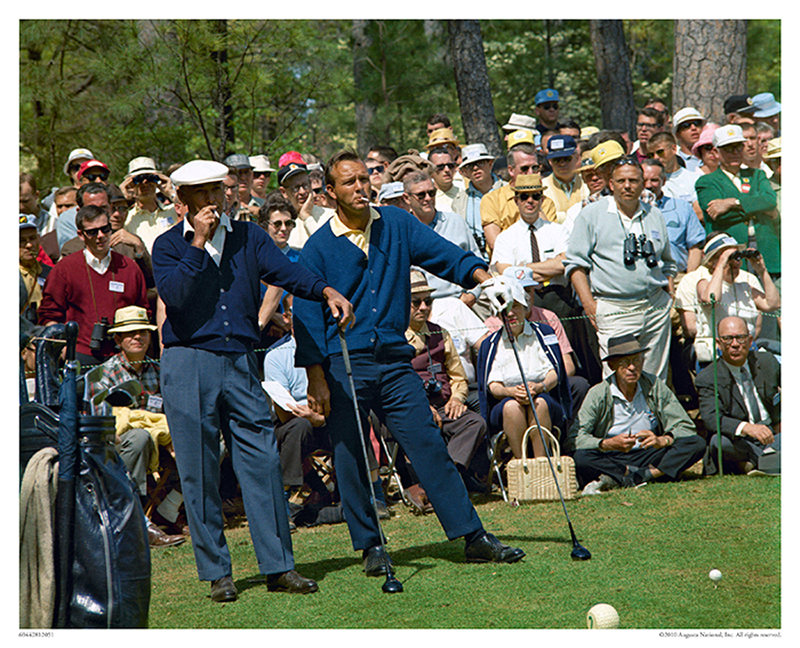 Ben Hogan and Arnold Palmer wait to tee off on the second hole during the third round. 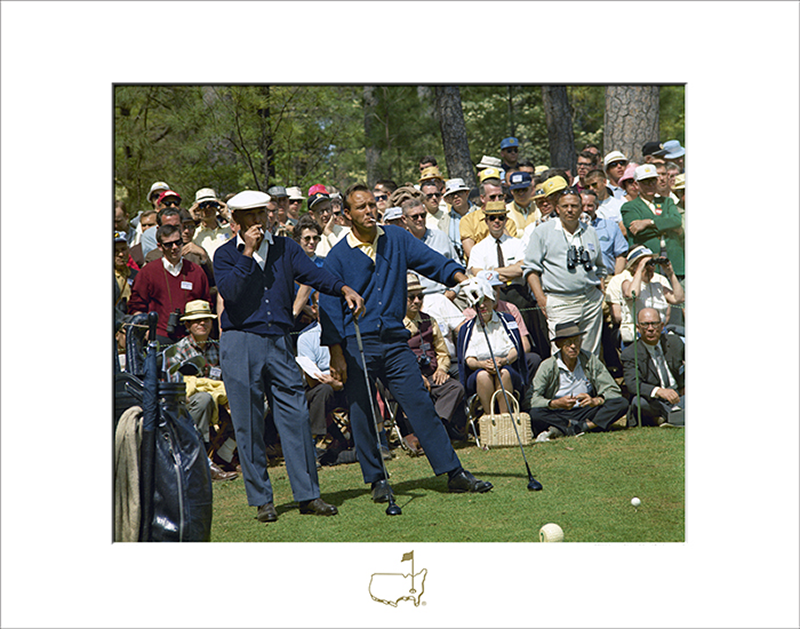 Amazingly, the third round at the 1966 Tournament was the first these two Masters legends played with one another in competition. 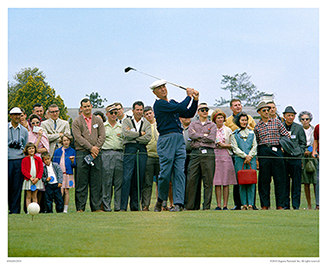 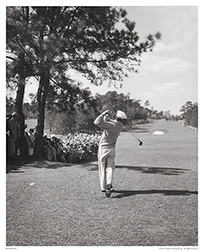 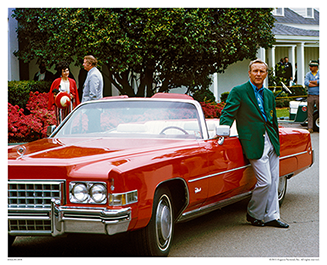 In a year that saw Jack Nicklaus win his third Green Jacket, Palmer would finish tied for fourth while Hogan tied for 13th in his second-to-last Masters.